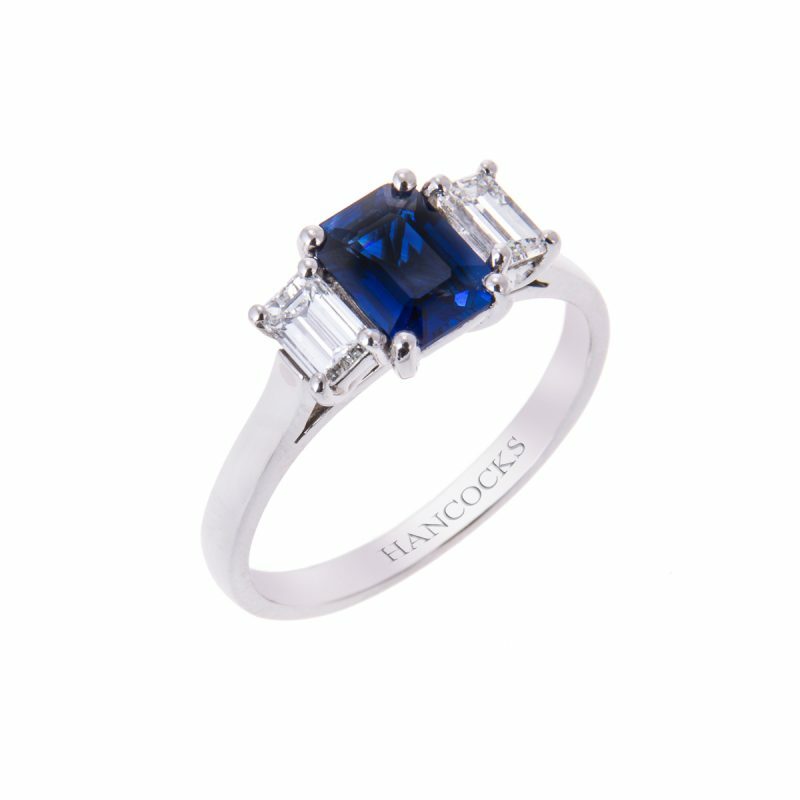 A stunning rectangular sapphire of a rich velvety blue colour, in perfect contract to the matched brilliant cut diamonds accompanying it. 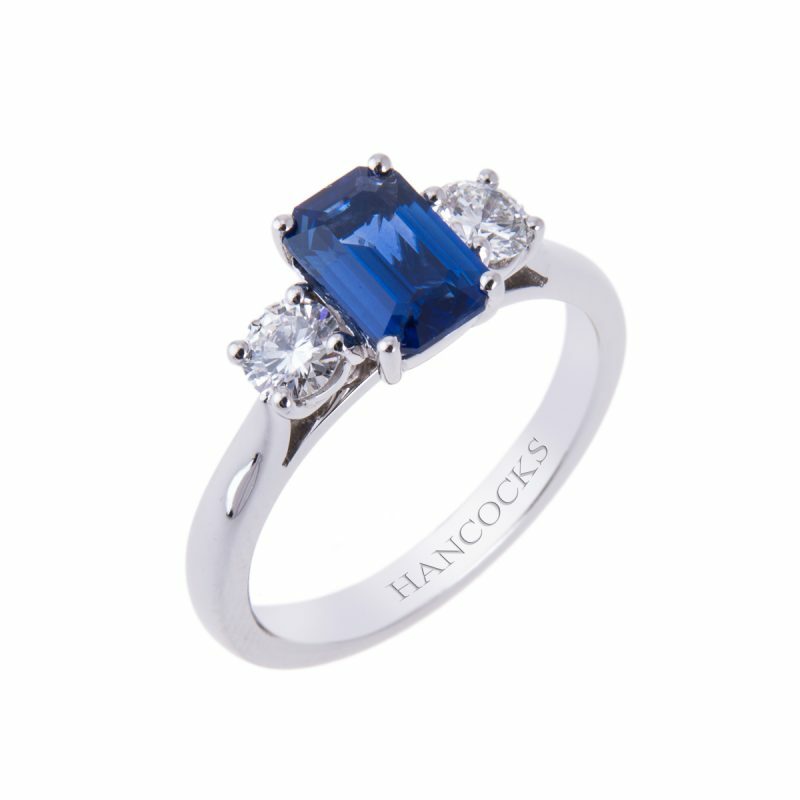 All mounted in a handmade platinum under wire setting who’s carefully sculpted under-bezels allow the ring to fit flush with any wedding band of your choice. 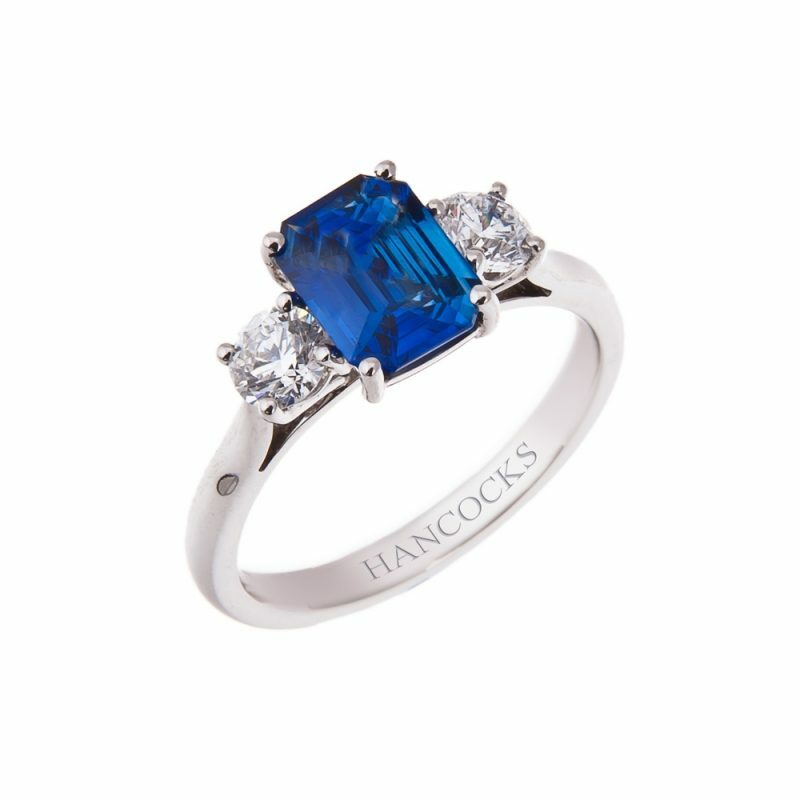 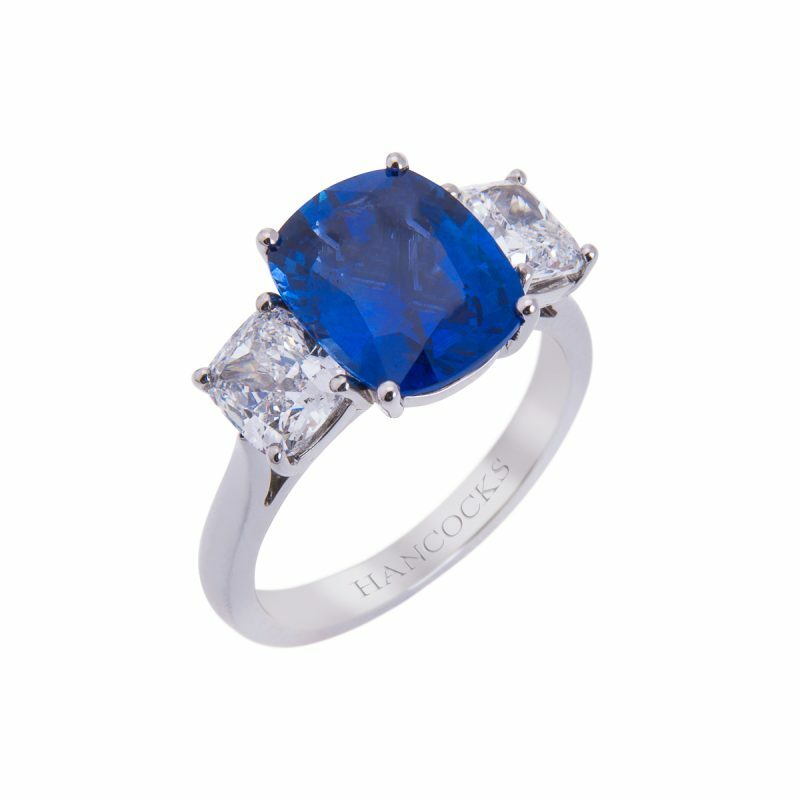 This is a popular choice as an engagement ring, the 3 stones signifying your past, present and your bright future together.